It was a sight to see: tractor-trailers stacked end-to-end, fighting for every inch of parking, and even spilling out onto ramps and roadways. The scene was repeated at truck stops and rest areas along Connecticut’s major thoroughfares during the Blizzard of 2013. "You can see they're all the way down the road, and parked out on the street,” said one truck driver. The truckers were heeding Governor Malloy’s travel ban and staying off snow-covered highways until crews could plow the roads. The problem? There was nowhere to go. "I pulled in down here at the Plaza, and it was so backed up they had the State Police down there moving everyone out,” said a driver. 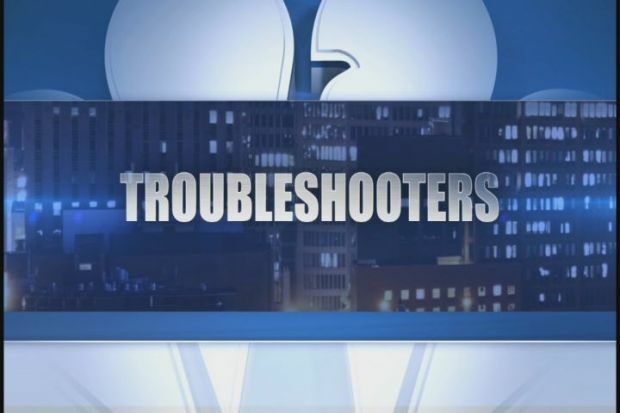 NBC Connecticut Troubleshooter Sabina Kuriakose reports on the dangers of Connecticuts truck stops and what the state is doing to address them. It wasn’t just the weather. Truck drivers said the shortage of places for them to park has been a widespread issue for years. And some fear it can lead to deadly consequences. "It means some of the drivers are forced to drive beyond their limits when they're fatigued. It means they're having to drive illegally because they're beyond their hours,” said trucker Bruce Rogers. Or, they pull over unsafely, and even illegally. "Is that the one right by the rest area?” asks the dispatcher. The car lost control on I-95 S and smashed into the truck, which was parked illegally on the shoulder of a rest area entrance ramp. The driver of the car was killed, and the trucker told police he was pulled over so he could rest. "Oh my god it was so loud,” said the 911 caller. Less than a week earlier, on I-95 North, a trucker sleeping in the cab of his vehicle was killed after police said a drunk driver careened into the tractor-trailer. It was parked by the ramp to another rest stop. The trucker’s widow tells NBC Connecticut she wonders if her husband’s life may have been spared---if he was able to park farther away from the highway. "Every one of our commercial facilities, every night is full to overflowing. There's no space there. So we have to improvise. So what they do is they pull into whatever's available in the public arena, and those are all full and overflowing. Then they park on the sides of the highway, they park on entrance ramps to the highway, they try to find a place on a side road where they can park and rest and not have problems,” said Mike Riley of Connecticut’s Motor Transport Association, a trucking industry advocacy group. Riley said on any given night there are up to 1500 truck drivers looking for a place to rest their heads in the fewer than 300 spots at the state’s 16 open rest areas and service plazas. A state Department of Transportation spokesperson said they’ve been aware of the shortage for years. But he said there’s not enough money or space for even a third of the truckers who pass through the state each day. The DOT declined the Troubleshooters’ request for an interview, but did say that in the process of renovating the state’s service plazas they are adding 120 more truck parking spots. "They've reconfigured what's there. They haven't expanded,” argued Riley. Drivers said they try to plan ahead, charting out their routes so they end up near a rest area when it’s time to take their federally-mandated break. But hazards of the road, like congestion and accidents, can wreck even the best-laid plans. "You gotta take your chances. Like I said, there's no parking for us anywhere,” said one driver. "If you come early you can find a place to park. If you drive until 7, 8 at night by the time you stop there's no place else to stop,” said another. Industry groups are introducing new legislation this session that aims to force the DOT to come up with new ways to fix the problem. One of their solutions includes allowing truckers to stay in state parks overnight.